It is never anyone’s plan to get sick or injured, but eventually when it does happen at some point in our lives, we all need medical care. In modern times, medical care is advancing in terms of treatment methods and innovations and this also results in rising health costs as well. 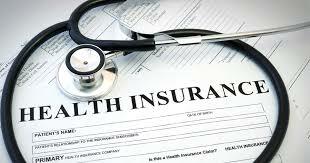 The sole purpose of health insurance is to help you cover your medical expenses when you need to. Some of these bills can be high and unexpected and most of the time you will need to make a decision on a health care decision that caters to you and your family. Insurance helps you and your family to easily manage your personal finances during these emergencies as it is impossible to predict when and how you will need medical care or how much you will need to cover health expenses in a given household. On top of effectively taking care of the medical costs that ensure your well-being, health insurance also offers other benefits like treating illnesses and instant care in case of emergencies and accidents. This is one of the most popular form of health care because on top of your medical costs, you also get preventive care in the form of vaccines, screenings and early checkups. People with health insurance tend to get better attention from personal doctors and get better care when they need it which creates a link between health insurance and proper health care. Health insurance provides you with a peace of mind because you spend your days knowing that you are protected from any medical situation that may surprise you. This means you should never wait until you or a family member falls seriously sick to start looking for health insurance. Everyone needs medical care at some point, and without a health insurance plan in hand, you are faced with a bill that you could pay yourself. Sometimes medical emergencies happen at the most unexpected of times. For instance, a 2-day hospital visit could add up to almost $25,000. To meet such costs, you finding yourself needing a health plan that includes, in this case, in patient cover. A simple skiing, horse riding, sport or bike accident that results in a broken leg could make you cough out almost $8,000 if you lack health insurance. If you or a family member lives with either or any of chronic diseases like asthma or diabetes, this could also be expensive to manage from your pocket. Recent statistics from Healthline.com also shows that type 2 diabetes is on the rise among young adults. By the year 2013, research from the American Diabetes Association showed that diagnosed diabetes was on the rise with an estimated $245 billion at the time and a 41% increase over a five year period. These figures are obviously not friendly and without health insurance, you will have to pay the expenses yourself. So why not focus on a preventive process like routine checkups and vaccinations offered by personal doctors in many health insurance plans? These prevention plans are covered without any hidden or additional out of pocket costs making them timely for preventing future bills. Some people assume they may not be able to purchase health insurance as they classify it as a huge financial challenge. In the case of young adults and students, health insurance is mostly categorized in the same hurdles as a school loan. However, the government offers tax credits and cost sharing grants to manage the premium costs of health insurance and ease out of pocket bills at the pharmacies and co-payments at the doctor’s office. For instance, a person with an income of about $12,000-$30,000 will qualify for lower premium rates and out of pocket costs. A person making higher than that may still qualify for even lower premium rates. Nowadays, most people are required to have health insurance as a law from the Affordable Care Act (ACA). As a matter of fact, lack of health insurance coverage can result in a tax penalty. Health insurance in such a case is recommended and the benefits should encourage adults of all ages to consider it. If you think about it, life can be so unpredictable at times and you never know when the $8,000 bill on a broken leg may happen to you or one of your family members. Nowadays, you can purchase health insurance online at the comfort of home. You only need to make a shortlist of the best health insurance providers online then choose the one that suits your medical needs. The next thing to do after choosing your potential candidates is learning their financial limitations and qualification requirements. Just make sure the company is not only registered but licensed as well. Only listen to reliable sources when considering the credibility of any given company. Also, carefully analyze the basic insurance features offered by any provider and understand their policies. Where to find quality health care online. eHealthInsurance.com help you find a health plan that best suits your needs and make it easy for you to get quotes from multiple companies and help you enroll to a quality health insurance as well. Cigna.com offers flexible choices, including health care reform plans, for you and the whole family. You can also a dental plan customized to give you the coverage you want for the price that fits your budget. They also allow you to take control of your health stats with regular check-ups. Hioscar.com, on the other hand, is another great option in health care. It is a smart and simple health insurance provider that offers quality care at low, affordable costs. They strive to revolutionize health insurance through technology and data. The many health insurance plans offered online cover different aspects of health insurance varying from dental, vision, short term and student insurance. Family is also covered and plans are available to cover basic, specified health and more notably, critical diseases plans. Carefully select the health insurance plan that meets your needs and don’t forget that your main goal is to secure your health future or that of your family.